This all boys class is the first opportunity for boys to break away from the girls, and explore the specifics of men’s gymnastics. The 55-minute class offers gymnasts a 15-minutes stretching and warming-up time, as well as an introduction to beginning skills on trampoline, floor, rings, vault, high bar, and parallel bars. Students go to three events each class period. 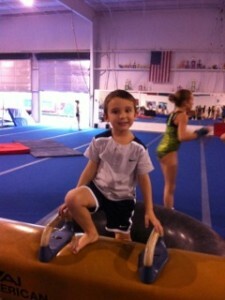 This 55-minute class is designed for boys, as an introduction to men’s gymnastics. Gymnasts spend 15-minutes stretching and warming-up with an emphasis on strength training and flexibility. Beginning skills are taught on trampoline, floor, pommel horse, rings, vault, high bar, and parallel bars. The boys rotate between three events each class period. This 55-minute class is the next step for boys who have achieved proficiency in the beginning class. Gymnasts spend 15-minutes stretching and warming-up with an emphasis on strength training and flexibility. 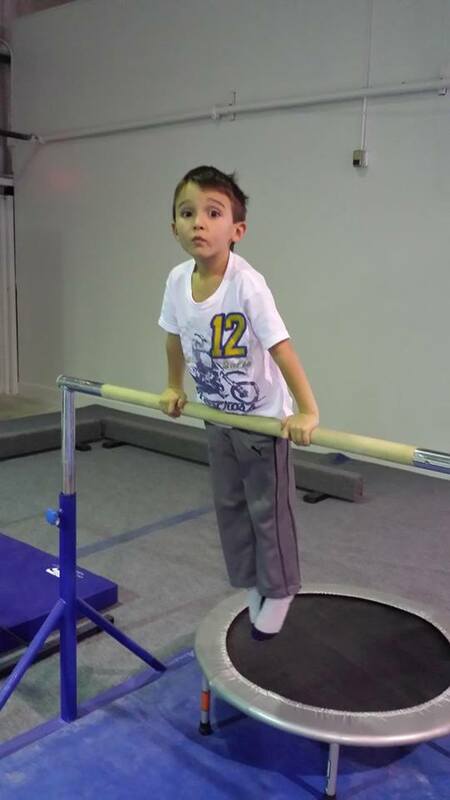 Intermediate skills are taught on trampoline, floor, pommel horse, rings, vault, high bar, and parallel bars. The boys rotate between three events each class period. This 55-minute class is the next step for boys who have achieved proficiency in the intermediate class. Gymnasts spend 15-minutes stretching and warming-up with an emphasis on strength training and flexibility. Advanced skills are taught on trampoline, floor, pommel horse, rings, vault, high bar, and parallel bars. The boys rotate between three events each class period.